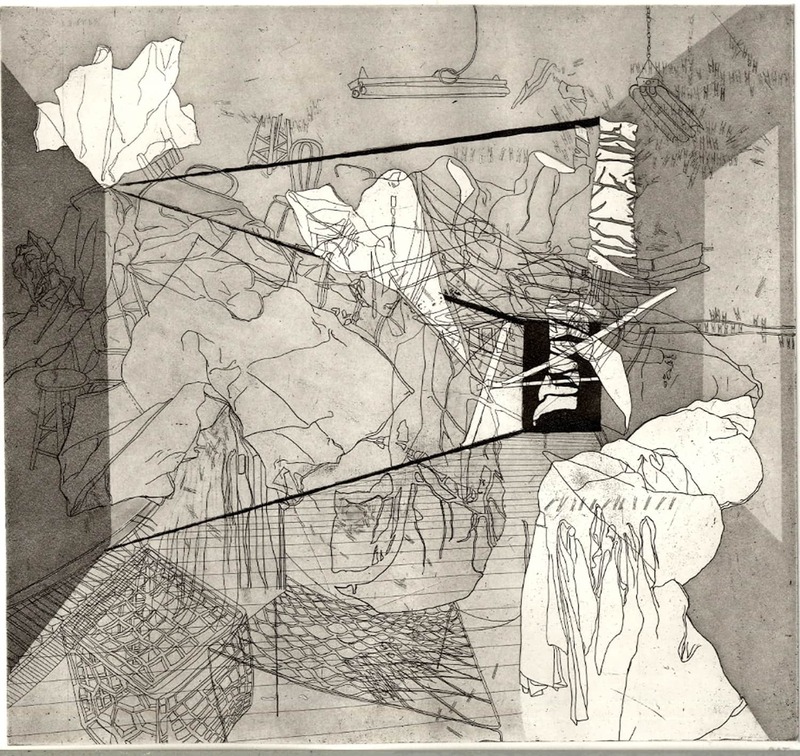 “8 ROOMS” is comprised of eight etchings and six collages. Together the series conveys the experience of hypervigilance: a heightened sensitivity to one’s environment where ordinary spaces and their contents are perceived in a contorted way. In the etchings, the viewer is invited to experience each impossible space through this lens. In the collages–built from those eight original source images–the Rooms are once again manipulated to become something entirely different.